Do You Own - and Control Your Domain Name? You May Be Surprised! 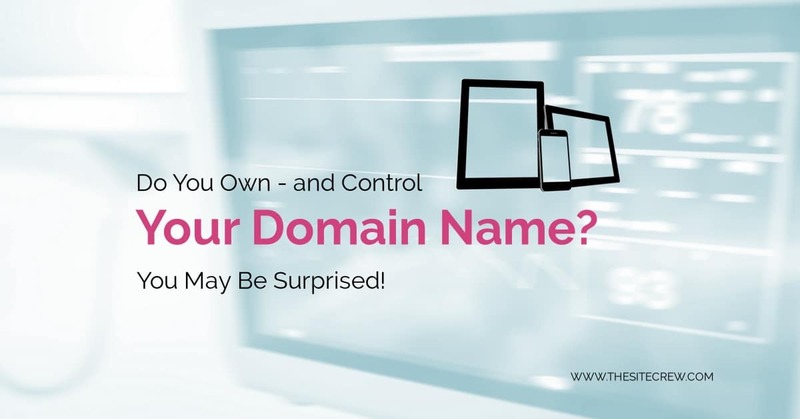 Do You Own – and Control Your Domain Name? You May Be Surprised! All too often, website owners are lax in nailing down ownership and control of valuable domain names, and as a result, are often required to litigate these issues costing them thousands. The case of Dawson v. Brandsberg illustrates these costly mistakes and how to avoid them. The dispute was between a website operator and developer regarding rights to a domain name that consists of the operator's name: “robertedawson.com”. Plaintiff Dawson and his real estate firm (the website operator) hired Defendant Brandsberg (the website developer) to develop a website. A key fact is that there was no written agreement regarding possession or use of the domain name. * Plaintiffs paid for the initial registration of the domain name, plus development, hosting, and maintenance fees for the website. Eventually, the business relationship soured, and the Plaintiffs sought to transfer the domain name and the website to another internet service provider. The Defendant refused to transfer the domain name and the website, and essentially held the domain name hostage. Dawson brought suit against Brandsberg in the U.S. District Court in Virginia under the Cyberpiracy Provisions of the Lanham Act,Section 43 (d), 15 U.S.C. 1125(d). Dawson v. Brandsberg, 2006 WL 2915234 (W.D. Va. Oct. 10, 2006). Plaintiffs argued that the federal cyberpiracy prevention statute was applicable, and that it protected the domain name and imposed liability for a bad faith registration with the intent to profit from the registration. Plaintiffs also argued that it had a non-exclusive, implied license to use the domain name, given that Plaintiffs had paid for registration, development, hosting, and maintenance of the website. * Plaintiff had no copyright or implied license in the website. Defendant Blandsberg filed for a motion to dismiss most of the counts of the suit. The Court ruled in favor of Plaintiff Dawson denying the motion. The Court seemed to rely heavily on Plaintiffs' arguments regarding the implied license, stating “Even assuming that Brandsberg created the website, if Plaintiffs have no license to use the website or domain name, the creation would be valueless”. Don't rely on oral agreements; get it in writing! Provide not only for ownership of the website, but also of the domain name. Provide that your domain name be registered in your name, not in the name of the vendor. Also, note that control over the domain name is very important, and control goes with knowledge of the ID and passwords to the domain name account with the Registrar. So to maintain control, be sure to change the password so that you are the only one who has access to the administrative controls for your domain name at your Registrar's site. Be the first to rate this site design! Like this? Please rate it! https://thesitecrew.com/wp-content/uploads/2018/10/Do-You-Own-and-Control-Your-Domain-Name.jpg 628 1200 admin /wp-content/uploads/2015/09/logo-large-e1443277888385.png admin2018-09-30 09:05:572018-10-21 18:42:35Do You Own - and Control Your Domain Name? You May Be Surprised!